Cingular today adjusted its phone lineup and added the Motorola V551. 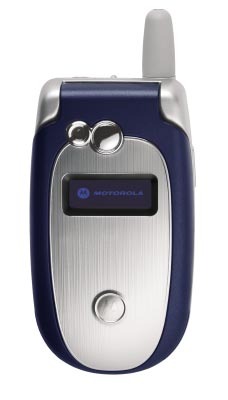 The V551 is currently a Cingular exclusive, but is similar to other V series Motorola phones. Here are some features: * EDGE high-speed data * VGA camera with video recording * Bluetooth * 65K color TFT display * Speakerphone You can purchase the Motorola V551 starting today for $149.99 with a contract. The phone should be available in most markets for online sales, some retail stores may take a few days to get the V551 in stock. The Motorola V551 is marketed as the Motorola V555 in Europe and Asia. Another image of the Motorola V551 appears after the jump. Click thumbnail at right to zoom.